TIPS FOR PROPER CONTINGENCY PLANNING FROM LAWYER MARK BRIGGS. 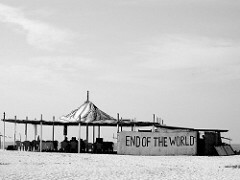 Lawyer Mark Briggs wants you to ask yourself: would your business be prepared for the apocalypse? While that may seem like a dramatic scenario, planning for emergencies is necessary for all businesses, large and small. Any situation in which normal business operations are interrupted could be harmful to a company’s financial and professional well-being. Therefore, it is important to ensure that proper procedures are in place. Unfortunately, the truth is that most small businesses are unprepared for a disaster. Recently, Mark was featured in a Small Businesses Do It Better guest blog post discussing why contingency planning is so important and offering tips for small businesses on doing so. You can read the full blog post by clicking here.